A (slightly) edited discussion from alt.movies.kubrick. With contributions from Gordon Stainforth, editor of The Shining. I want to celebrate Kubrick's coldness and impersonality. Kubrick is no Romantic: he does not buy into the overprivileging of the subjective and the emotional . Nor is he, in any sense, a humanist: human beings are not at the centre of his cosmos, and his account of humanity is, to say the least, not positive. No arguments there, perhaps. But concluding that his rejection of these doctrines makes him a cynic, a nihilist or a remote modernist is to be misled by the humanism and Romanticism his work so effectively challenges. Kubrick is clinical, analytical, and that is his greatest service to us. There is a difference between a director capable of depicting emotions and one who is emotionally manipulative. Kubrick's films, yes, are cold, impersonal --- but we have to think carefully about why 'hot' and 'personal' are the automatically-privileged terms in our post-Romantic culture. Kubrick shifts the focus away from the subjective experiencing of emotions to the (social/ cultural/ biotic/ ...) machines which produce those emotions. Unlike most Hollywood film-makers, Kubrick is no emotional pornographer - the point is _not_ to identify with the characters. Such identification would merely reproduce the redundant subjective narcissism upon which consumer culture runs. What if the point were to escape from this hall of mirrors? To see ourselves in these characters, yes, - but from outside, instead of from inside - so that we appear not now as passionate subjects but mannequins trapped within the hideous, remorseless machines that produce and feed upon our subjective intimacies. We are all in the Overlook -- locked into the treadmill repetition of someone else's past mistakes, the viral time of abuse-begetting-abuse ---- yet escape is possible: but such escape is precisely out into the impersonal, the emotionless, the cold of the Overlook snow rather than the heat of Jack's passion. I wonder why it is that 'cold' and 'slow' are automatically deemed to be negative. It is precisely Kubrick's coldness and slowness that are missed in a contemporary culture that is so obsessively 'warm' and 'fast'; ingratiating, emotionally exploitative, relentlessly fidgety. Kubrick took us out of ourselves: not via the transports of ecstatic fervour, but through the icy contemplation of what drives and traps us, and the vision of a universe indifferent to our passions. To see the mechanical deathliness of the human world from the perspective of that indiffferent universe: that is what Kubrick offered us. A vision of God (which is also an approximation of God's vision). freedom from the miserable prisonhouse of the human. Brilliant comment, Mark, and I believe a v accurate summation of Kubrick. I think the main characteristics of Hollywood style at the moment are: sentimentality, speed, and noise. (i.e puerile sentimentality, high speed cutting, and an excessively loud bang or explosion every few minutes). Example: Spielberg's immensely disappointing 'Minority Report' - where the audience, bombarded by technical wizardry, ends up having to watch people crying, with little idea or interest in what they are crying about. Couldn't agree more. I guess what's interesting about this is the tension between the quick-cutting and the sentimentality: the quick-cutting gives films a disocciated, schizophrenic quality (I'm thinking of Jameson's observation that postmodern subjectivity is 'schizophrenic' in that it is unable to synthesize a coherent sense of time), which is so abstract that you would imagine it was evacuated of any emotion. I guess the sentimentality is what 'glues together' what would otherwise be a experience devoid of much connecting thread. An even sharper point. I would only disagree that the sentimentality 'glues together' the fragmented, schizophrenic form - I think it merely gives the appearance of gluing it together. It's like icing covering a hollow, emotionally evacuated, incoherent interior. dreaded and awful*, fury and blood, but, with nothing more than a touch, the heart of the film says, "This is what it is to be human. Maybe we can do no better....but, it is necessary to SEE!". I suppose this "debate" comes down to the difference between experiencing this "touch" as either cold, or as warm, and therein applying value, as it goes. Most of the other "warms" are usually, and emotionally, cheap, ingratiating, and fraudulent, and return little more than a moment's escapade. The surgeon Virgil has different business, though. The glinty cold steel implements in his case are there, necessarily, to 'hurt' _in order_ to heal. This is also the job of fine satire, which is (at the deep heart's core), a thing of warmth and decency, humility and profound caring. This simple recognition is absent for many, and that absence, particularly with regard to SK, is a great pity. * or, maybe it should be spelled "awe-ful." What does awe have to do with religion, or a religious outlook? Spiritual, yes, maybe, but what need for yolking awe to "religion"? Sometimes 'ugliness' is deeply 'beautiful', and there can be awe, too. > "What'll it be?," do you percieve only the human miserable? Not at all. 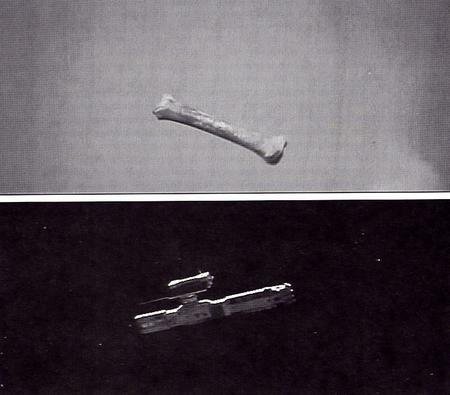 I think Kubrick offers an alternative to the 'human miserable', precisely by offering a _nonhuman_ perspective upon it. And this is in part because his films - whilst often about mirroring - are not themselves mirrors. They do allow us see ourselves, but from outside. > to make a point, then undercut it. > touch, the heart of the film says, "This is what it is to be human. > Maybe we can do no better....but, it is necessary to SEE!". I'm not averse to this comparison, but how does it work? If Dante the author is also the audience in the Divine Comedy, who is the equivalent of this author-audience figure in Kubrick? > applying value, as it goes. Yes, I think there's more than an element of this. 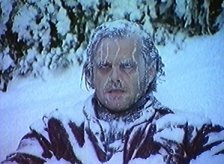 One can either resist the familiar accusation that Kubrick is cold, or accept it and re-evaluate the meaning of 'cold.' As is clear, I prefer to do the latter. > case are there, necessarily, to 'hurt' _in order_ to heal. Are we 'hurt' by Kubrick though? I agree with Lord Bullingdon; I have never cried at a Kubrick film. I have been 'moved' - taken out of myself - but not in the emotional sense. > with regard to SK, is a great pity. Some satire can be as you described, but I should have thought that some (Swift, for example) can be pretty misanthropic. > deeply 'beautiful', and there can be awe, too. categories: there's a lot of that in Kubrick, too. While much of what you write … is extremely insightful about distanciation "within" the Kubrickean universe, are you not also, seemingly, making the same mistake so indefatigably parroted by LB of conflating Kubrick's aesthetic cinematic strategies with his ownpersonal sensibilities, his own humanity? Why do you classify contemplation of human folly and what might redeem or transcend it as "icy"? >freedom from the miserable prisonhouse of the human. But, again, you are invoking two apparently contradictory notions of "warm" above: one as ingratiating, emotionally exploitative, relentlessly fidgety i.e. the Hollywood mainstream, the other as denoting emotions of empathy/ sympathy, however supposedly compulsory their social endorsment may be. 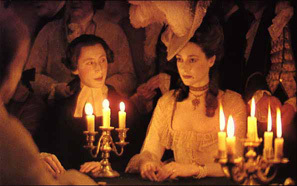 The latter "notion" of "warm" , though largely absent from a film like 2001 [the film upon which much of your conception of Kubrick's cinematic world rests], actually becomes central to such later work as Barry Lyndon and Eyes Wide Shut. Are we getting "warm" yet? Interesting comments, as ever, Padraig. > personal sensibilities, his own humanity? Good point. I guess because of the association of passions with 'heat' - by icy here I simply mean 'dispassionate' (in the Spinozist sense). > >freedom from the miserable prisonhouse of the human. > their social endorsment may be. Are they really contradictory, though? I agree there's a less patently exploitative rendering of sympathy/ empathy possible - but wonder if this isn't just a more sophisticated version of the same thing. The question of empathy is a fascinating one, and calls to mind Worringer's distinction between abstraction and empathy - empathy is the emotion correlated with 'organic' or representational art (which reflects the subject back to itself); abstract art, by contrast, is mechanical, devoid of a sense of empathy (confronting the subject with something irrevocably unassimilable). The two fuse in what he calls the Northern line - essentially, Gothic art culminating in the German expressionist tradition - in which there is 'a requisition of our capacity for empathy (which is bound up with organic rhythm) for an abstract world which is alien to it.' I think there's more than a hint of a continuation of this Northern Line in Kubrick. > central to such later work as Barry Lyndon and Eyes Wide Shut. Good point. 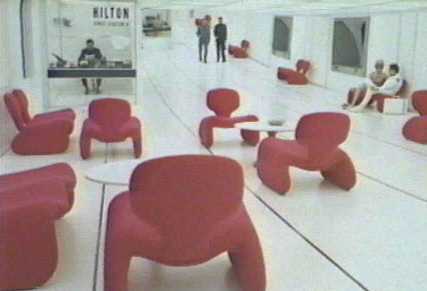 2001 is the film which most obviously fits the description of the Kubrick oeuvre I gave; not so much, I think, because of its absence of sympathy/ empathy in it, but because of its awestruck vision of the cosmos, which isn't quite so evident in any of his other films, before or after. I think we must distinguish the depiction of emotion in a film from the emotion it stimulates in the audience - and from a film's emotional ethic (the kind of emotion a film, implicitly or explicitly, recommends, privileges or endorses). In 'Hollywood', the first two tend to collapse into each other, and the emotional ethic is usually an invitation to wallow in a drippy sentimentality. With Kubrick, there is a clear distinction between the emotions his films depict and the reaction the audience has: the distanciation-effect you talked of before, which not only happens within the films, but between what the film is showing and how the audience responds to it. _All_ of Kubrick's films depict passions, but none of them is 'passionate': they are _about_ emotions, not 'emotional.' This is as true of EWS and BL (and TS, for that matter) as it is of 2001. BL, TS, and EWS all anatomize human emotional folly; all three are about problematics of empathy/ sympathy; but it's not clear that they make us _feel_ sympathetic or empathic. It's not clear, for instance, that we _identify_ with Dr Bill or Barry. > Are we getting "warm" yet? > > personal sensibilities, his own humanity? > > Are we getting "warm" yet? I think a great deal of the ambiguity relies on SK's hesitation, possibly disdain, for theatrical & subjective cinematic devices in his films. 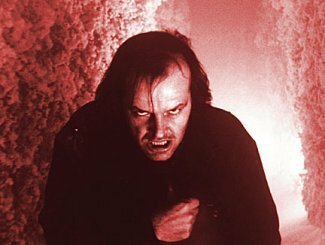 One could take the "Shining" discussion between Danny and Hallorann, reframe with some slow zoom-ins, layer some synthetic haze, put some John Williams music underneath and composite a few rays of light beaming down and have the typical Spielberg scene, no? 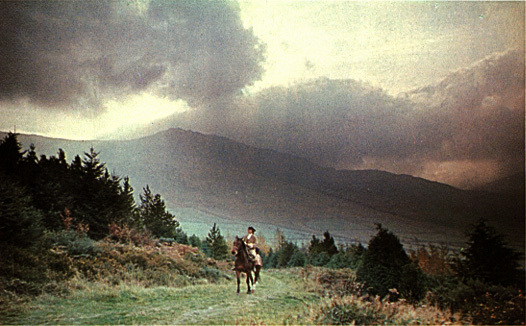 SK used handheld and Steadicam viewpoints for occasional subjectivity, but the majority of his films are formally composed still photography...thephotographer's view, the observer's view, the "God's eye" view - withbrilliantly chosen, and many times "canned" music playing with certainscenes. There's a phrase I sometimes think of with SK.."style is a result of limitations". This may provoke uproar, but I feel that SK may have had no idea what would be there with the finished film....until it was finished. A dedicated artist, he worked on instinct and self-discovery with the material, constantly revising and amending through every stage of the project, with his passion for the the source story and exhaustive research his primary guide. Just my $0.02.